Morris chairs are great for relaxing and lounging. They are sturdy and comfortable, providing high backs and wide arm rests. 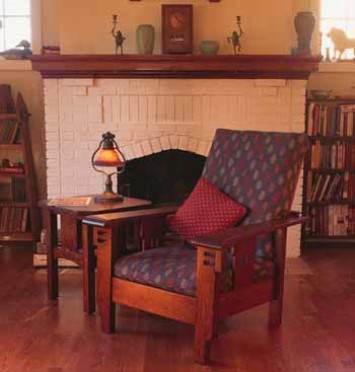 Many variations of Morris chair plans are available, some of which include an easy-to-build footstool for the ultimate in relaxation. 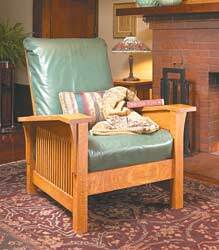 Morris chair plans may be built with a variety of woods, from oak and maple to rugged outdoor teak and redwood. These chairs make sturdy yard furniture that will last for years. 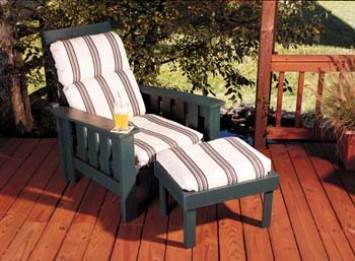 Use outdoor fabric containing UV protection for cushions when building a chair for patio or deck use. Creating a Morris chair is a great family project. The seamstress in the group can sew the cushions, while the woodworker can build the framework. 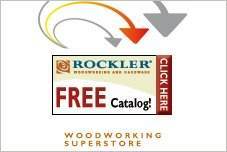 Kids can help out with sanding and perhaps the staining and varnishing. Choose leather or vinyl for durability in the family room or a beautiful decorator fabric to accent the living room. Build this comfortable Morris chair with its tall back and wide arm rest for the ultimate relaxation. A Morris chair is strong, good looking and very comfortable. Build this one of a kind chair using this plan. 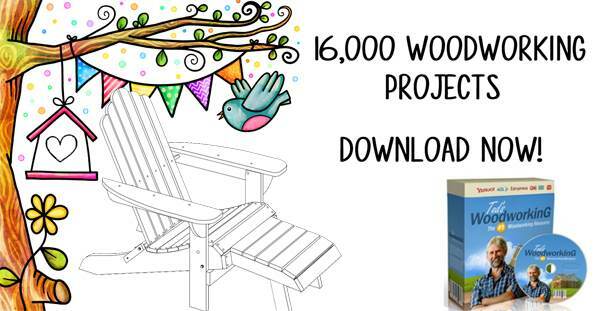 This is a plan for an outdoor Morris chair that's inexpensive and easy to build, just use these instructions with helpful tips and list of materials needed..